Sunrisers Hyderabad (SRH) take on Delhi Capitals (DC) in match 30 of Indian Premier League 2019 at the Rajiv Gandhi International Stadium in Hyderabad. Meanwhile, Sunrisers Hyderabad have won the toss and have opted to bowl. Both the teams have made some changes. Captain Kane Williamson returns to Sunrisers' side. Check SRH vs DC live score updates here. Sunrisers come into the match with two back to back defeats against Kings XI Punjab and Mumbai Indians. Contrastingly, Capitals have notched two wins in their previous two matches against Royal Challengers Bangalore and Kolkata Knight Riders. While SRH will be looking to get back to the winnings ways, DC, on the other hand, will be hoping to continue their winning momentum. SRH vs DC, IPL 2019 Live Cricket Streaming: Watch Free Telecast of Sunrisers Hyderabad vs Delhi Capitals on Star Sports and Hotstar Online. This will be the 14th meeting Sunrisers Hyderabad and Delhi Capitals. Previously, SRH have won nine while DC have won four. In the previous meeting this season, Sunrisers emerged victorious by five wickets in a low scoring game at Delhi. Sunrisers Hyderabad vs Delhi Capitals Live Cricket Score. 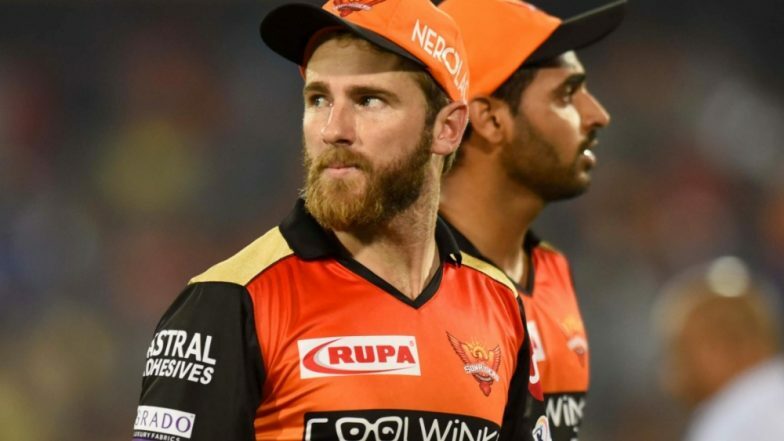 Sunrisers Hyderabad Playing XI: David Warner, Jonny Bairstow(w), Kane Williamson (c), Vijay Shankar, Ricky Bhui, Deepak Hooda, Rashid Khan, Abhishek Sharma, Bhuvneshwar Kumar, Sandeep Sharma, Khaleel Ahmed. Delhi Capitals Playing XI: Prithvi Shaw, Shikhar Dhawan, Colin Munro, Shreyas Iyer(c), Rishabh Pant(w), Chris Morris, Axar Patel, Amit Mishra, Keemo Paul, Kagiso Rabada, Ishant Sharma.